Dolly EvaDean Morgan Green, 82, of Clover (Rush Valley) passed away March 15. She was born in Mammoth on March 27, 1930. 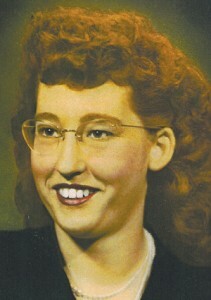 EvaDean lived in Ophir and was a Tooele High School graduate. She married Walter C. Green on May 27, 1950. They made their home in Clover and raised five daughters: Ila Kay Bunn (Wayne Hunter), Sharla (Larry Gordon), Theresa Green, Gloria Green and Carma Painter (Gary Emerson). She has 17 grandchildren and 39 great-grandchildren. She was preceded in death by her husband, both parents, eight brothers, son-in-law Norman Painter, granddaughter Miriah LaVell Gordon, great-grandson Mathew Gordon, Nick Paloukos Jr. and James Bankhead. A viewing will be held at the Tooele 17th Ward at 132 N. 570 East on March 22 from 11:30 a.m. to 12:30 p.m.
Interment will be at the Clover Cemetery at 1 p.m. Lunch will be served from 11:30 a.m. to 12:30 p.m. at the viewing. 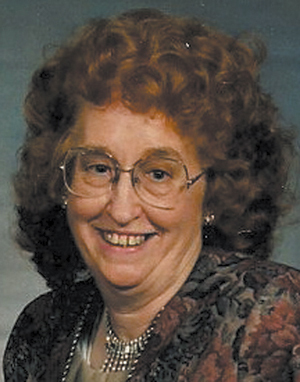 Services entrusted with Didericksen Memorial, 277-0050.